This year In a few weeks I have no choice but to research and purchase storage for my lip products. They are my biggest weakness. And I just added 7 more items to the overflowing pile in one trip to Walgreens. Ironically, the one thing I love the most, my husband hates. He thinks I should just wear lip balm and bland tasting ones at that because he doesn’t like to get it on him or taste it lol. 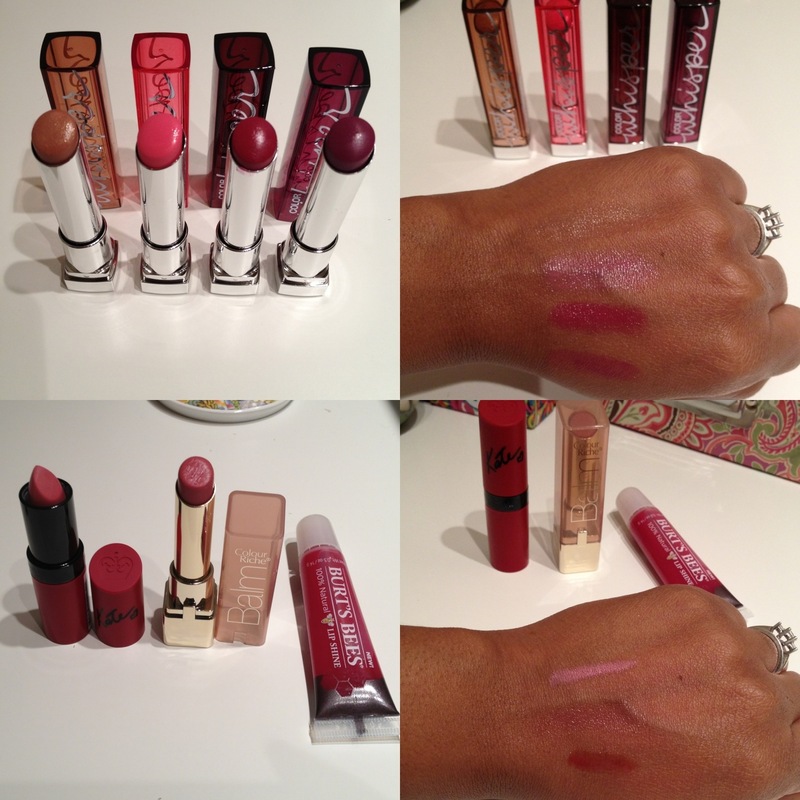 So I tend to go more for tinted balms and lip glosses, special occasions get the lipstick and gloss :). I was catching up on Dulce‘s blog and videos over the weekend in Orlando and her haul sent me to Walgreens as I got back. I was more interested in the Maybelline Color Whisper products than anything else. I saw the Vivids but I’m not that adventurous, they’re a bit too vivid. I found it interesting how pigmented the last two of the Color Whisper are and I was hoping the first two would be like that. The Color Riche Balm has a very slight tint but I think it would make a nice cover over the Rimmel Kate lipstick. The Burt’s Bees lip shine has a nice fruity smell that isn’t too strong, just perfect and would make you want to lick it off every time it’s applied. I’m expecting packages between today and tomorrow and I will have another post up by the end of this week. I’m also on the hunt for an amazing camera as my husband is behind me with this whole blogging thing and is excited for me :). Until next time..